Life has been a bit of an uphill journey of late. I have been dealing with a variety of challenges and responsibilities that are either a stretch for my technical skills or just plain difficult. In my younger years when I experienced similar seasons, my thinking tended to become clouded with negative self-talk and a narrowing perspective. This could turn into a cycle that was difficult to break and left me mired in my difficulties. As providence would have it, the books I am presently reading speak deeply to the way I am processing my current challenges. Shackleton’s Way looks at leadership lessons we can glean from the Antarctic explorer, and The Wright Brothers is a recent biographical portrait of the pioneers of powered flight. All three men shared a rare and indomitable quality of attitude and perspective that allowed them to live above their circumstances and accomplish what, to others, seemed impossible. Today I’ll reflect on Shackleton. More on the Wrights in a future post. Sir Earnest Shackleton was the leader of three Antarctic expeditions at the turn of the 20th century. 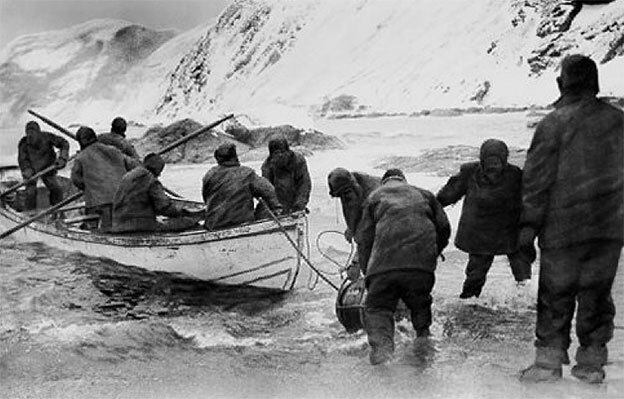 On his second expedition his ship, Endurance, became trapped in the frozen Weddell Sea and was crushed, leaving his crew of 28 stranded on the ice. After months of living in makeshift camps on the ice floe the crew took to the lifeboats and made their way to inhospitable Elephant Island, where they set up a camp with overturned boats as their only shelter. Shackleton and five others then completed an 800-mile voyage to South Georgia in the remaining lifeboat, after which they had to cross a forbidding mountain range to reach a whaling station where help could be obtained. In the end, all were rescued with no loss of life. Shackleton cultivated and lived out a rare mixture of compassion, optimism, vision, emotional intelligence, and perseverance. His ability to retain an optimistic outlook in the midst of impossible circumstances, transfer that optimism to those he led, and then turn setbacks and failures to his advantage made him one of the most effective leaders in history. Shackleton is teaching me to look more objectively at my circumstances and to seek out the opportunities in my challenges. My attitude directly impacts my view of the world and affects those around me for good or for ill. It is vitally important to be in charge of my outlook, and, with God’s help and a little practice, is within my grasp.